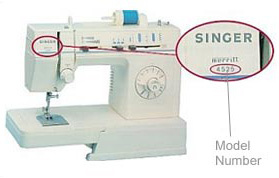 For sewing machines manufactured since about 1990, look for the model number on the handwheel side of the machine near the on/off switch or the electric cord receptacle. You will find the model number on the front panel of machines manufactured in the 1970s and 1980s. 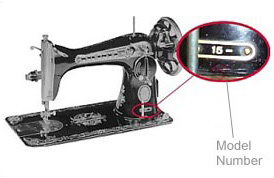 Sewing machines manufactured in the 1960s usually have the model number on the machine's front panel above or below the stitch length controller. 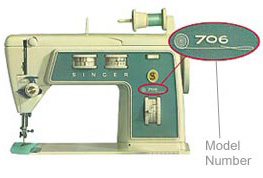 On machines manufactured before 1960 the model number is located on a small plate on the front of the machine.